Taggurrs opened in July of 2004 just a block East of 200 E 24th ST Yuma, AZ 85364. Since then we have moved to 466 W 12th Street, Yuma, Arizona 85364 From its inception Taggurrs has set the standard in the Yuma area for Quality, Safety and Professionalism. Taggurrs provides three self contracted Artist's for our clients to choose from, each with their own distinct style. From Bold Traditional to Urban Street designs there's nothing our stable of Artists can't handle. 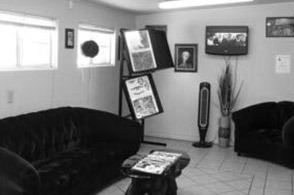 We proudly call ourselves a Tattoo Shop, this isn't a lounge, studio or social club. 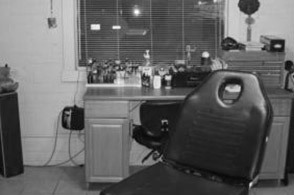 We are a Traditional street shop, we won't serve you cheese and wine, we LIVE to TATTOO and welcome the spur of the moment Walk-in as well as the planned out Appointment. Bring in your own design, choose from our in shop flash or let us create an original piece to fit your vision, which ever the case we are here to provide our clients with the knowledge and know how they deserve. Taggurrs Artist's also provide Repair, Re-Work and Cover-up of Old Tattoos. We will treat each and every potential client with the respect they bring into the shop, at the same time we won't sugar coat things for you, honesty and integrity is our policy. Taggurrs Tattoos has gone to great expense to provide the clients and our artist's the safest, cleanest and most professional environment to work and receive Tattoos in. All staff adheres to Universal Precautions in accordance with OSHA, International CPR Institute Inc., Center for Disease Control (CDC) and Alliance of Professional Tattooist (APT). Our Artist's are Certified in Blood Borne Pathogens, CPR and First Aid and meet or exceed all OSHA standards. All our instruments are single use and disposed of in a Bio-Hazardous disposal system, which in turn is collected weekly by NAFTA Environmental Inc. and disposed of at their facility. Sterilization is provided for instruments by Tuttnauer Valueklave 1730MK in individual self seal sterilization pouches with a built-in internal indicator. The operation of our sterilizer is monitored by an individual Biological Monitoring Service monthly and results can be provided upon request, results of all tests to date have passed. We take great pride in the Environment we provide for our Artist's and clients concerning the Tattooing process and always strive to update our proficiency in all areas.